In the 3 years since we published our first Electronic Toll Collection Global Study the global landscape has seen profound change in almost every single region of the world. Electronic tolling no longer exists only in the background, delivered by players with little recognition among individual consumers. It has now begun a determined journey towards the limelight. Fuelling this journey are a growing number of partnerships involving players from outside of the typical ETC value chain, such as car manufacturers Audi and Fiat Chrysler Automobiles, mobile wallets AliPay and WeChat Pay, entertainment ticketing company Eventim and satellite radio station SiriusXM. Unquestionably, developments involving new players such as these will change the course of how all fleets and drivers both pay and perceive their tolls and road charges. 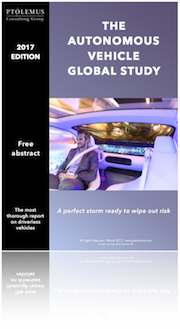 For ‘traditional’ ETC manufacturers and providers, the mass adoption of smartphones, or indeed vehicles, as a consumer payment device for tolls and road charges will represent a boon for ANPR devices. ANPR has long been the technology of choice for enabling enforcement, but concerns have persisted over capture rates compared with more reliable capture technologies such as DSRC and RFID. Now, with machine learning and image recognition technology pushing capture rates ever higher, ANPR represents a viable charging technology for toll chargers everywhere, particularly when combined with a ubiquitous and universally popular payment device such as the smartphone. Nonetheless, smartphones and vehicles need not be used as a payment device only. 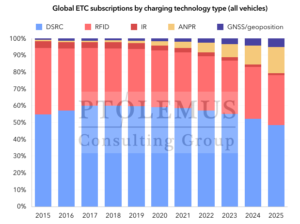 Many new vehicles and almost all smartphones already contain a proven charging technology of their own; namely satellite geolocation via GPS, Glonass, Galileo or BeiDou. Like ANPR, the use of GNSS technology is not new. 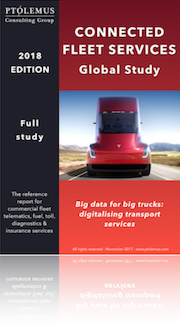 Today, six European countries already utilise GNSS technology to collect tolls (predominantly) from fleets of more than €8 billion per year, a figure which will rise significantly over the coming years. Yet, the real change will come in the (significantly larger) passenger car segment. 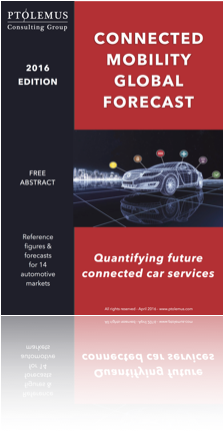 However, growth in use of GNSS as a charging technology among passenger cars will not be as fast as it has been for HGVs, mostly because individual drivers are likely to be given a choice between the existing (DSRC/RFID etc.) and the new (GNSS): a choice enabled by different service providers hailing from different areas and industries. 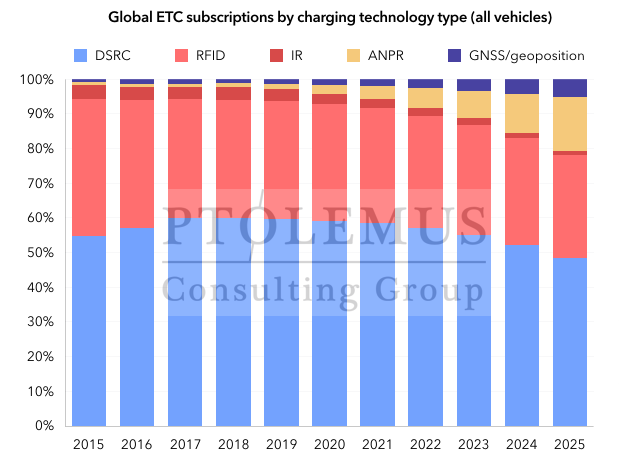 The PTOLEMUS 2019 Electronic Tolling Global Study consists of more than 750 pages of content focussed on these and other core strategic changes happening and likely to happen across the world over the coming years. As part of our 2025 forecast we have both quantified and qualified the impact of changes in both charging technology and payment devices. Change will not happen overnight, nor will it happen everywhere. Like all strategic developments, the key to reacting in an appropriate way lies in understanding precisely where, why and how the change will take place. As always, we have provided you with the correct information to answer these burning questions.